Phobias or Flashbacks affecting your life? The Rewind Technique can rapidly make a difference to your life. Book today to take back control! The Refined version of the Rewind Technique* is a non-intrusive, safe and highly effective psychological method for de-traumatising people, which can also be used for removing phobias. It should only be carried out by an experienced practitioner and is only performed once a person is in a state of deep relaxation. When the client is fully relaxed, they are encouraged to bring their anxiety just to the surface and then are calmed down again by being guided to recall or imagine a place where they feel totally at ease. Their relaxed state is then deepened and they are asked to imagine that, in their special safe place, they have a TV set and a video player with a remote control facility. They watch themselves watching a 'film' of the traumatic event that is still affecting them. The film begins at a point before the trauma occurred and ends at a point at which the trauma is over. They are then asked, in their imagination, to use the remote control to rewind and fast forward the film, from safe point to safe point, as many times as needed, until the scenes evoke no emotion. Besides being safe, quick and painless, the technique has the advantage of being effective without having to relive the trauma. In fact, the client doesn't even need to know what the trauma is e.g. the original event that created a phobia. *This technique originated from NLP and was often called the Visual/Kinaesthetic Dissociation technique, the term 'Rewind Technique' being originally coined by Dr David Muss. So how does Rewind work? Simply described, the technique works by allowing the traumatised individual, whilst in a safe relaxed state, to reprocess the traumatic memory so that it becomes stored as an 'ordinary', albeit unpleasant, non- threatening memory rather than one that continually activates a terror response. 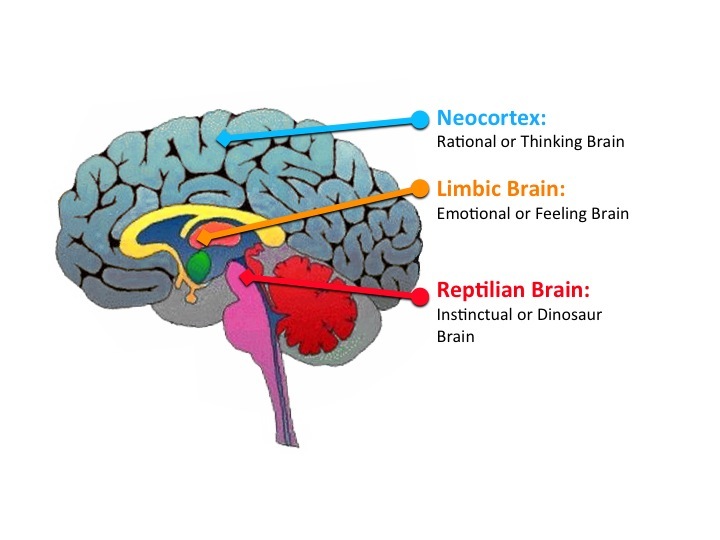 This is achieved by enabling the memory to be shifted in the brain from the amygdala (the fear control centre) in the Limbic system to the Neocortex (the thinking brain). 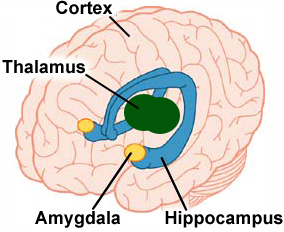 When a threatening event happens the amygdala is activated and, in normal circumstances, the eventis stored in two parts; the memory of the event itself and the memory of the emotion. This separation is achieved by allowing the neocortex to make sense of the event. Sometimes, the event is so traumatic that this process is hijacked, with the fear response taking over and 'disconnecting' the thinking capability. The memory of the event then becomes stored with the strong emotions still attached. Then next time the memory is triggered, you re-experience those strong emotions even though the threat isn't really there. For example, if you were stung by a wasp as a child you may have a phobia about wasps as an adult, because as far as your brain is concerned, the sight of a wasp means that you're about to be stung. Your 'rational' brain knows that this isn't necessarily true but your amygdala activates the fight or flight response anyway and disengages the thinking, rational part of your brain. An initial assessment session is undertaken to understand what it is that you want to achieve and ensure that the Rewind Technique is the best way to achieve it. I may also start to take information that will be useful in the Rewind session itself. The second session is usually when we do the Rewind. 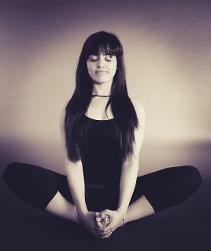 An essential part of the technique is to induce a state of deep relaxation, and some people find this particularly difficult. If this is the case, we may use the second session to help you become more relaxed, which will make it easier next time. Normally after the Rewind session people feel an improvement immediately, but some have to process it over one or more sleep cycles. For most people, a follow-up session is useful to explore the new reality of having removed this big block in their life and to explore the changes. For some people though, a phobia or memory of a trauma may not actually be what it appears and may be covering up a deeper issue. Often in these cases, discussion immediately after the Rewind may reveal another issue that has come up in the trance state that they weren't aware of. This may then need an additional session to 'Rewind' the 'new' trauma.